Nearly three of every thousand Colorado state government agency workers have filed a sexual harassment claim at work in the past five years, a Rocky Mountain PBS investigation found. Sexual harassment allegations rocked the general assembly this year and led it to oust one of its own members for the first time since 1915. But workplace sexual harassment spreads far beyond the statehouse, into the 17 principal agencies that employ more than 24,000 Coloradans. An RMPBS analysis of complaints compiled by the Colorado Department of Personnel and Administration shows several state agencies with multiple harassment complaints filed in the past five years. The most came from the Colorado Department of Transportation, which had double the rate of complaints of any other state agency. CDOT, with nearly 3,000 employees, received 21 of the 62 complaints handled by the state between 2013 and the end of 2017. All but one involved a male accused of harassing a female. Rafferty said an investigation determined more than half of the CDOT complaints were unfounded. However, she said it is possible the staff’s significant gender disparity – 82 percent men and 18 percent women – played a role in some of the complaints. Since the national #MeToo movement gained momentum in the fall of 2017, Rafferty said the state revised its online sexual harassment training program and required employees to review it. Prior to the #MeToo movement, CDOT launched the Women at CDOT initiative when administrators discovered the department had a lower percentage of female staff members than most other transportation departments around the country. The department hopes to shift the culture and recruit more women like Cindy Deering, who works on a special unit that clears debris from the highway. Rafferty said the program’s goal is to increase the number of female employees to at least meet the 22.5 percent national average for state transportation agencies. 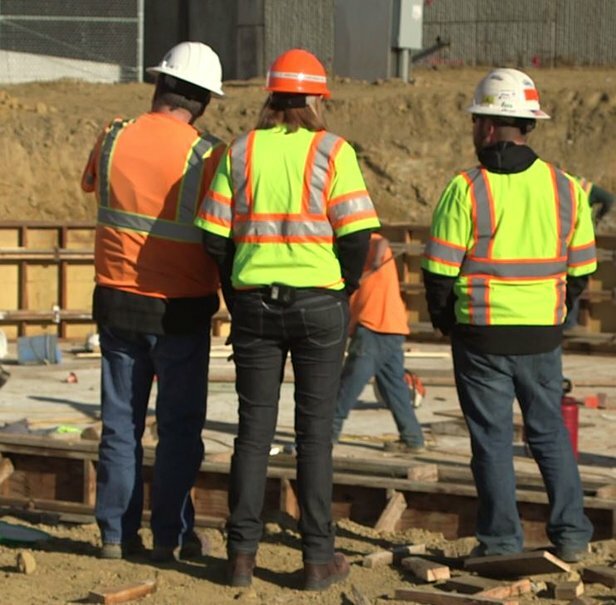 CDOT is hiring more entry level positions, expanding its internship program, and revising the job application process to make it more gender-friendly. Previously, an application might have said an employee must be capable of lifting 60-70 pounds, but now an application might describe that weight by equating it to the size of a child. “[Something] more relatable,” Rafferty said. Rafferty said she hopes the Women at CDOT program will help reduce the number of sexual harassment complaints within the agency. The Department of Natural Resources, with nearly 1,500 employees, had eight complaints over the 5-year span, the second highest for any department. The analysis excluded public colleges and universities, the judicial branch, and the state legislature. The Department of Corrections, which employs nearly 6,000 workers, had six complaints in the same span.